In order to improve the quality of the Hong Kong market and maintain Hong Kong’s status as one of the top financial centres in the world, the Hong Kong Exchanges and Clearing Limited (“the Exchange“) have in July 2002 issued a consultation paper which proposes certain changes to the Rules Governing the Listing of Securities on the Exchange (“the Main Board Rules”). The changes will only apply to issuers proposed to be listed or already listed on the Main Board and will not have any effect on market participants proposed to be listed on already listed on the Growth Enterprise Board (“GEM“) as it is believed that the recent introduction of the GEM rule in 1999 does not require a review at present. The consultation paper has received much criticisms and has been blamed for the collapse of the market for ” penny -stock” following the announcement of the proposal to de-list issuers with a trading price of HK$0.50 or less for a period of 30 consecutive trading days. This has caused much embarrassment to the Exchange, the Securities and Futures Commission (“SFC“) and the Government and has led to the withdrawal of the whole of Part C of the consultation paper, which deals with continuing listing eligibility criteria, for further review. The three year minimum track record period is to be maintained but an alternative method of measuring the requisite track record will be introduced which permits applicants without the requisite track record period but with a market capitalisation of at least HK$4 billion at the time of listing and revenue of at least HK$ 500 million during the most recent financial year to qualify for a listing on the Main Board. 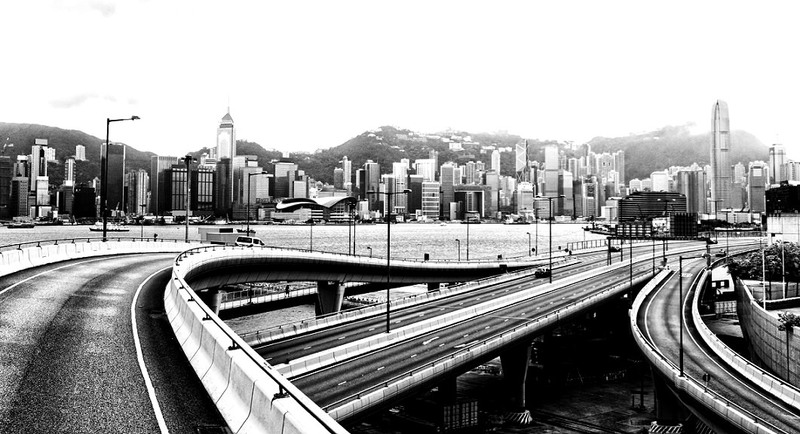 The Hong Kong Exchange will also allow applicants with a market capitalisation of at least HK$ 2 billion at the time of listing and revenue of HK$ 500 million during the previous financial year together with a positive cash flow from operating activities of at least HK$ 100 million in aggregate for the 3 year track record period to qualify for a listing. An initial market capitalisation minimum of HK$ 200 million will be introduced. For options, warrants and other similar rights to subscribe or purchase securities, the minimum of market capitalisation at the time of listing will remain at a minimum of HK$ 10 million. In respect of a listing applicant with only one class of securities, there must be at least 25% of the listing applicant’s securities having a minimum market capitalisation of HK$ 50 million in the hands of the public. If the issuer has a minimum market capitalisation of HK$ 10 billion, the Exchange may in its absolute discretion accept a lower percentage of public float as long as the issuer can demonstrate to the Exchange that it has sufficient safeguard in place to protect the minority shareholders. It is proposed that the minimum amount of shareholders of an issuer will be increased from 100 to 300. For those applicants listed under the proposed capitalisation/ revenue test, the minimum number of shareholders shall be 1,000. Any substantial shareholders and their associates will be excluded in the calculation of the minimum number of shareholders. The requirement of at least 3 shareholders of a minimum shareholding of HK$ 1 million will be removed. The rationale behind these changes is that the minimum of 100 shareholders is considered inadequate to maintain a fair and orderly market and may be susceptible to manipulation by certain strategic investors with significant holding. In the case of an issuer that is listed under the capitalisation/ revenue test , the required 3 -year track record can be dispensed with because these issuers can generate significant investor ‘s interest thus a minimum of 1000 shareholders are imposed on issuers listed under this test. Transactions leading to a reverse takeover will be treated as a new listing and the issuer will be required to comply with all the initial listing eligibility criteria, except for the spread of shareholders requirement. having a market capitalisation of less than HK$ 50 million over 30 consecutive trading days and its shareholder’s equity is less than HK$ 50 million. These proposals are based on the premise that listed companies have an implied potential for growth and expansion. Prolonged periods of loss making together with failure to meet other financial indicators may imply a lack of achievement or even failure on the part of the issuer. The Hong Kong Exchange considers the benchmark stated above to be reasonable in judging the performance of the issuer. Where the daily volume weighted share price of an issuer falls below HK$ 0.50 over 30 consecutive trading days, the issuer will be considered to have failed to meet its continuing listing eligibility criteria. It is proposed that there shall be a transitional period of 12 months afforded to those issuers failing the criteria to get their share price up to the prescribed minimum. There is currently no rule to prescribe for a minimum share price of an issuer though the listing agreement does provide that the Hong Kong Exchange reserves the right to require the issuer either to change the trading method or to proceed with a consolidation or splitting of its securities where the market price of its securities reaches the extremities of HK$0.01 or HK$ 9,995. The Hong Kong Exchange, in its attempt to avoid the undesirable effect of de-listing on minority shareholders , will only tallow the issuer to take any action which will result in the theoretical value of the share to drop below HK$0.50 with the approval of the independent shareholders in general meeting. The minimum share price is introduced as an objective indicator to show if the securities of the issuer are appealing to the public. The Exchange is of the view that HK$0.50 is an appropriate value for the minimum share price despite arguments that a higher value should be set to maintain a high standard to the market. The Exchange are of the view that a higher minimum price will be impracticable as the market price will be invariably be affected by the performance or the corporate actions of the issuer. The transitional period of 12 months will give the opportunity to those issuers with low share price to consolidate their shares so as to bring their share price back to the prescribed minimum. In practice, the introduction of this continuing listing eligibility criterion of minimum share price resulted in the panic selling by investors of “penny stocks” and has caused the market to collapse. The Hong Kong Exchange and the SFC has been widely criticised for not taking into account the reaction of the market when the proposal was announced. This controversial part of the consultation paper has now been withdrawn from the paper for further review. It is at present unclear whether it will be re-introduced in the future. It is proposed that an issuer will fail the ongoing listing eligibility criterion if after a corporate action taken by the issuer, there is a decrease in its total assets or operations or turnover or after tax profits by 75% or more of those of the immediately preceding financial year, and its remaining business will be unable to meet all the initial listing eligibility criteria, except for the market capitalisation and the minimum spread of shareholders criteria. If any corporate action is proposed which has the effect of substantially depleting the total assets or operations or turnover or after tax profits and resulting in the business failing to meet the initial listing eligibility criteria , the approval of independent shareholders must be obtained in general meeting must be obtained before any such action can be taken. Under the current Main Board Rules, de-listing procedure will commence by suspension when the issuer shows signs of insufficiency of operations or assets shown by financial difficulties which seriously impair the issuer’s ability to continue its business or which has led to the suspension of some or all of its operations or if the balance sheet of the issuer shows net liabilities . The current Main Board Rules provide that an issuer or its group whose assets consist wholly or substantially of cash or short term securities to be unsuitable to listing . This rule will be maintained but the relevant quantitative test of 90% will be introduced to the existing rule. It is proposed that any issuer whose securities have been suspended from trading for a continuous period of 12 months will be deemed to have failed to meet the continuing listing eligibility criteria . The current Main Board Rules provide that any issuer whose securities have been suspended for a prolonged period without the issuer doing anything to rectify the situation may lead the Hong Kong Exchange to cancel the listing. Under the current Main Board Rules, there is no guideline as to what constitutes a prolonged period and the period of 12 months is introduced to act as a reasonable benchmark as to what constitutes a prolonged period. The issuer must at all times during the period its securities are listed on the Exchange maintain a minimum number of shareholders. The minimum number of shareholders will be 300 or such other number as determined by the Exchange depending on the nature of the issuer in question. It is further proposed that if there should be any indications that the securities are not held by the prescribed number of shareholders, for example, the monthly turnover of the issuer’s shares is less than 2,000,000 or less, for the past 12 months. The issuer may be held to have failed to meet its continuing obligations. It is proposed that for those issuers that fail to publish their financial results on the due date , the Hong Kong Exchange will immediately suspend all trading of the issuer’s securities until the issuer publishes the requisite financial results. As the financial results of the issuer are important information to enable investors to make informed decisions , any delays in their publications will be unfair to the investors involved hence a suspension of trading is justified as a deterrent to the issuer and a promotion of good corporate governance practice. The Exchange proposes to make the timely disclosure of accurate information to the Exchange be considered a continuing obligation of the issuer. The information provided to the Exchange should be accurate and complete so as to avoid the establishment of a false market. 5.1. New cancellation procedures with respect to the cancellation of listing will be introduced. Non-compliance with any of the requirements under part C of the consultation will subject the issuer to the cancellation procedure. The non-compliant issuer will be given an opportunity to submit one proposal within the time limit to bring itself back to long-term sustainable compliance with the continuing eligibility criteria. not exceeding 12 months where the non-compliant issuer fails to implement the proposal to the satisfaction of the Exchange. Under the current Main Board Rules, for the initial period of 6 months following the suspension, the Exchange will monitor developments and will decide whether to extend the period or to proceed to the second stage of the de-listing procedure. At the end of the second 6-month period, the Exchange will take account of any proposals submitted by the issuer and decide whether to proceed to the third stage of the de-listing process. In the third stage, an announcement will be published stating the issuer does not have sufficient assets for its operation and will normally impose a 6-months deadline for the submission of the resumption proposal. At the end of this 3rd 6-month period, if the issuer still fails to produce any acceptable resumption proposal, its listing status will be cancelled. The current procedure is considered to be too lengthy and complicated and a simplification of the process is long overdue. the Exchange will notify the issuer in writing that the issuer has failed to meet one of the continuing listing eligibility criteria and the Exchange will also publish an announcement to inform the public of that fact. the securities of the issuer will continue trading until the Exchange issues an announcement notifying the date which the securities of the issuer will cease trading. the non-compliant issuer will need to submit to the Exchange a proposal within one month of the notification from the Exchange to restore the issuer to long -term, sustainable compliance with the continuing listing eligibility criteria. if the Exchange accepts the proposal of the issuer , the issuer has 6 months from the date thereof to implement the proposal . The issuer shall provide monthly updates to the Exchange on the progress of the proposal and any failure on the part of the issuer to implement the proposal would result in the cancellation of the listing. During the 6 month period, the Exchange has absolute discretion to suspend the listing of the issuer’s securities if the circumstances require. If the Exchange does not accept the proposal, the issuer will be notified in writing setting out the basis of its decision and the issuer will be given the opportunity to appeal to the relevant committee to review the decision of the Exchange. If the issuer fails to meet the minimum market capitalisation/share price criteria and the issuer subsequently brings its market capitalisation/ share price level back to the prescribed limit and remains so for 60 consecutive trading days, then the defect will be considered to have been cured and any new de-listing procedure that may have commenced will be automatically terminated. information about the over allotment option and the purpose for which the option has been granted. Given that the matters required to be disclosed under this section will have a material effect on the share price of the issuer, it is sensible that the Exchange’s current practice should be codified into the Main Board Rules. whether the issuer is able to meet the standard as stated in the Code of Best Practice and its own code(if any) . If not , details of any deviation from the minimum standard should be disclosed. whether the issuer has any committees , like audit committee and a description of the role of theses committees within the issuer. information about the internal controls over the issuer’s financial, operational and compliance matters and risk management. The introduction of these extra disclosure requirements will provide the investors with more relevant information when assessing the issuer’s past success and how this will be translated into future growth. All in all, the issuer will be making a more informed decision when making its investment. Additional information regarding the financial position of the group will need to be disclosed, this include the latest management account of the issuer for the period not more than 3 months prior to the date of the listing document. The information should include the net profit for the relevant period and the unaudited balance sheet all prepared to the standard of the Hong Kong Society of accountants or the International Auditing Practice Committee of the International Federation of Accountants.